Daverick Leggett is the author of Helping Ourselves A Guide to Traditional Chinese Food Energetics, one of the only books on the traditional Chinese approach to diet rooted firmly in the dietary habits and readily available ingredients of Western countries. 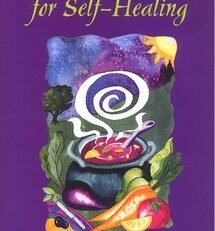 Recipes for Self-Healing develops from that earlier work and presents a wide range of recipes, again using indigenous foods rather than the often strange and unavailable components of similar Chinese books. The recipe section is divided into Soups, Salads, Grains, Vegetables and Beans, Meat and Fish, Sauces, Dips and Relishes, Condiments, Bakery, Desserts and Drinks. For each recipe, as well as the standard preparation and cooking instructions, there is a full discussion of the energetics and a simple table showing its effect on qi, blood, yin or yang, pathogenic factors and zangfu, as well as its temperature and contraindications. Thus for example ‘Cabbage in Chestnut Walnut Sauce’: “Chestnuts and walnuts both support the Yang and help counteract Dampness. They are supported in this by the garlic whilst the lemon acts on the Liver and makes the dish more digestible. The cabbage helps strengthen the Blood and is especially beneficial for the Stomach and Intestines”. The overall effect of this dish is to warm the body, clear dampness, support the Kidney Yang and nourish the Intestines”. There is much more to this book however than just the recipes, however wonderful. 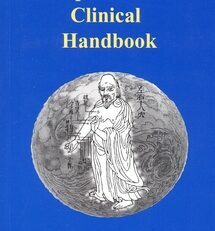 Introductory chapters discuss such subjects as sources of nourishment (air, water, trees and plants, cosmic energy, sensual nourishment, relationships and food) which reveal the author’s grounding in qigong and spiritual practice, and his always rounded, sensible and comprehensive approach to the potentially narrow issue of dietary regulation. 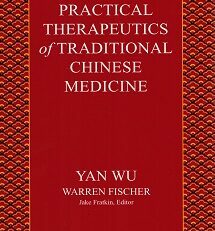 Since this book is aimed both at the practitioner and the layperson, there is a comprehensive introduction to the relevant Chinese medicine theory (channels, zangfu, substances, yin and yang, climatic factors etc.). A valuable final section, suitably entitled ‘Leftovers’ considers subjects such as coffee and tea, alcohol, sugar, dairy foods, vegetarianism, raw food diets, pregnancy, babies and children, slimming and obesity, fasting, microwave cooking, genetic engineering, vitamins and common medical drugs. 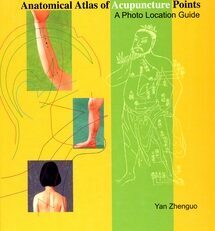 “The true spirit of traditional Chinese medicine is a living one and it is in this spirit that this book is written. As a westerner I have been drawn to an oriental philosophy and healing system because it offers something I have not found in my own back yard: a coherent, living vision of the world as energy, and a poetic and metaphorical language to express this perception. It suits me, because to perceive the world as energy is natural to me and has been so since childhood; and, besides, I am more inclined towards poetry than science. I am, however, not Chinese and have no ambition to live anywhere other than the beautiful and sacred landscape of Devon, England. Nor am I interested in living or eating like a Chinese person. So in bringing the profound insights and wisdom of traditional Chinese medicine into my own culture my interest has been to understand how this extraordinary understanding can take root here and become native, how it can enrich rather than supplant my own culture and traditions. 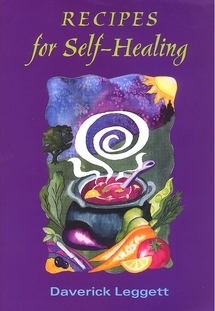 For this reason, the suggestions in this book for healing ourselves and eating our way to health are based on primarily western foods and lifestyle practices. 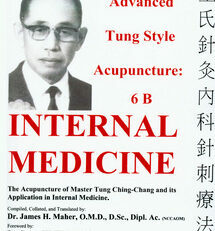 In this book you will find the ideas of eastern medicine explained and interpreted in a western light. I hope that I have sufficiently managed to liberate the ideas of traditional Chinese medicine from their cultural context to make them useful and directly relevant to the western world. I also hope that I have managed to do this without dishonouring their tradition or misrepresenting the ideas through the limitations of my own culture-bound vision. In presenting these ideas about food I have sought to apply the principles of food energetics to a western cuisine. Most of the ingredients will be familiar and homely and some will reflect the cosmopolitan nature of our eating. Every now and then I have suggested the use of a more unusual ingredient because of its special value. 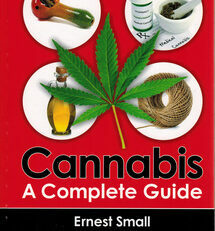 Nevertheless, you should be able to find in your local shops almost any of the ingredients in this book. The key question in deciding what to eat is not ‘What is the best diet?’ but ‘What is the best diet for me?’ or, more precisely, ‘What are my constitutional patterns and what are the conditions prevailing in my life and my body today?’ What works for one person may not work for another. One man’s meat, as the saying goes, is another man’s poison. To get the most from this book you will need to understand your own energetic tendencies. Reading the book will take you part way there; but if you are not already familiar with traditional Chinese medicine as a practitioner, or as a student or recipient, it will probably help if you seek out the assistance of a qualified practitioner skilled in traditional diagnosis. The recipes that form the second part of this book are designed to help you eat according to your own unique needs. If, for example, you are working with a pattern of ‘Spleen Qi Deficiency’ in your life, you will find several recipes that suit you perfectly. The measure of whether a recipe is right for you is that you can expect to feel good afterwards. Once you have found recipes that work for you, you can apply the principles to recipes of your own making. There is no limit to the number of new recipes you can create. 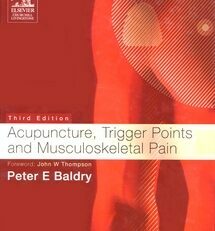 You can be further helped in this by getting hold of a copy of either the wallchart The Energetics of Food and/or the companion volume to this book Helping Ourselves. The chart and book list the properties of about three hundred common foods and will enable you to choose ingredients that are well-suited to your individual needs. Both are available from Meridian Press and Redwing Book Company. Words committed to print tend to become somehow fixed as truth. The recipes in this book are not ‘cures’ but rather part of a style of eating that, in my judgment, is suited to certain kinds of people and conditions. This book is an adventure and an exploration of how the principles of traditional Chinese medicine and food energetics can be applied in our daily lives. I invite you to test its ideas against your own experience and find your own way of working with the information and principles offered here. I encourage you to be creative in the kitchen and use the recipes as starting points to spin off into your own creations. The principles of a tradition may not change over millennia but the tradition is kept alive only by constant reinterpretation in the light of experience. It is in the creative human spirit that a tradition lives on and its death begins the moment it is ‘fixed in stone’. It must be said that the main ingredient of any recipe never finds its way into a recipe book. Cinema goers may have seen the film ‘Like Water for Chocolate’. In this sumptuous film the cook’s tears, laughter and desire are at different times infused into the meal, causing hilarious results at the dinner table. It is not mere fancy that the energy with which food is prepared is infused into the meal. From the viewpoint of energy medicine, the Qi of the cook is transmitted to the food and this, in turn, is received through eating. Cooking is an alchemical process. To liberate the nourishment from food the Qi of the cook must impregnate the food, interacting with the flavours to generate a nourishing message. The energy that goes into creating the ingredients is important too: the grower and the retailer are part of the story. Organically grown food sold by people who know and care about their food carries that caring message to our kitchens. I encourage you to support organic growers and, if you have the opportunity, to grow some of your own food.